Size (largest dimension): 23cm approx. 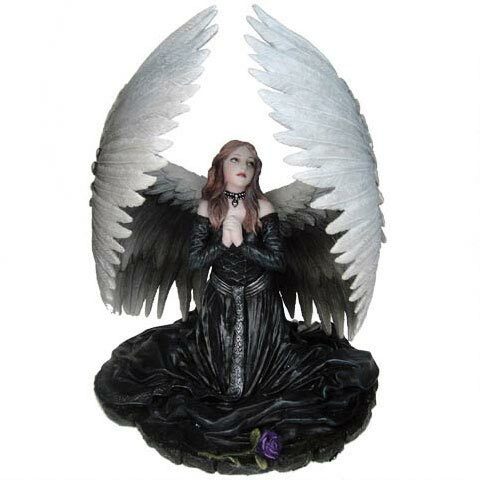 A figurine of a female gothic angel kneeling and praying. 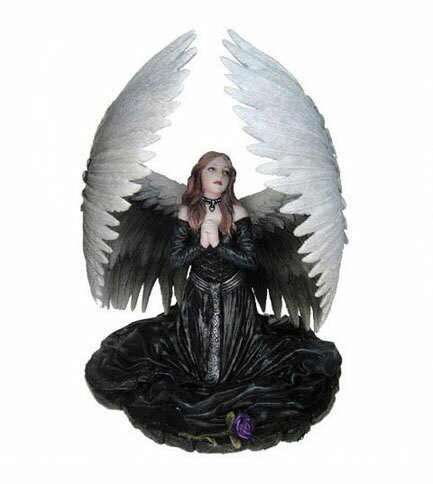 She gazes towards heaven and her long black dress spreads across the floor and her white angel wings curl around her. On the ground in front of the figure is a purple rose.